MFC Podcast and Community Trust toy drive was huge success! The MFC Podcast and Motherwell Community Trust have paid tribute to fans of Motherwell and Aberdeen for backing their Christmas Toy Drive. Over 1.5 tonnes of toys (the equivalent weight of 27 grown adults) were donated last Saturday afternoon prior to kick-off. After supporters had filed into the stadium, the toys were driven to North Lanarkshire Council’s storage facility where they will be sorted into age groups ahead of nine local toy giveaways across North Lanarkshire. “This was our third Christmas Toy Drive and easily our most successful yet,” MFC Podcast host, Andy Ross said. “Even from before we were due to start the drive, fans of both sides were turning up with toys - it was fantastic. 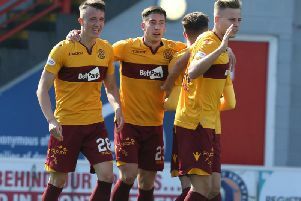 “We’ve had a lot of credit on social media in the last few days, but I can’t stress it wouldn’t have been any where near the success it was without incredible generosity of the Motherwell and Aberdeen fans.